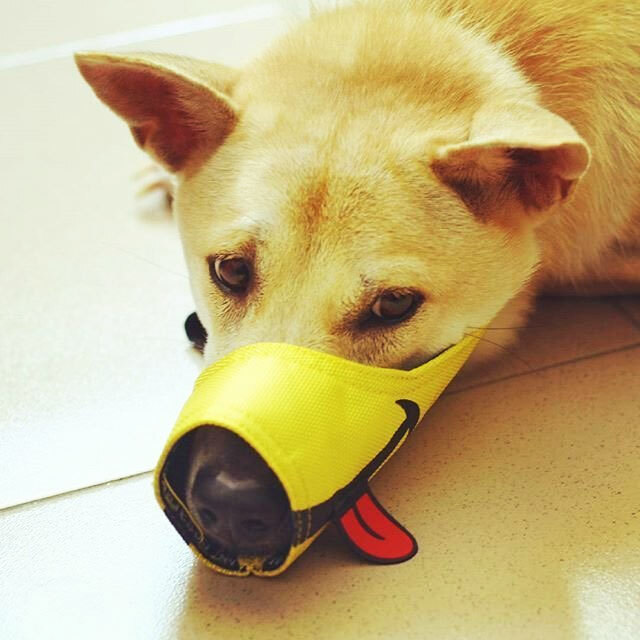 This dog muzzle is made with a print on the outside of it that makes it look like your dog is smiling with their tongue hanging out to the side, when in reality he's so mad at you for putting this damn muzzle around his mouth that he's snarling and thinking about taking a chunk of meat out of your arm. 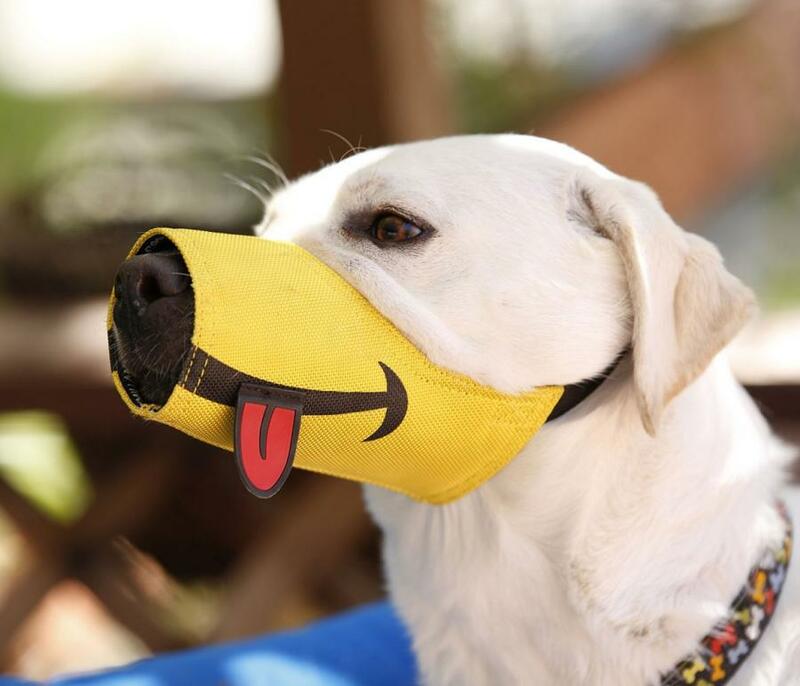 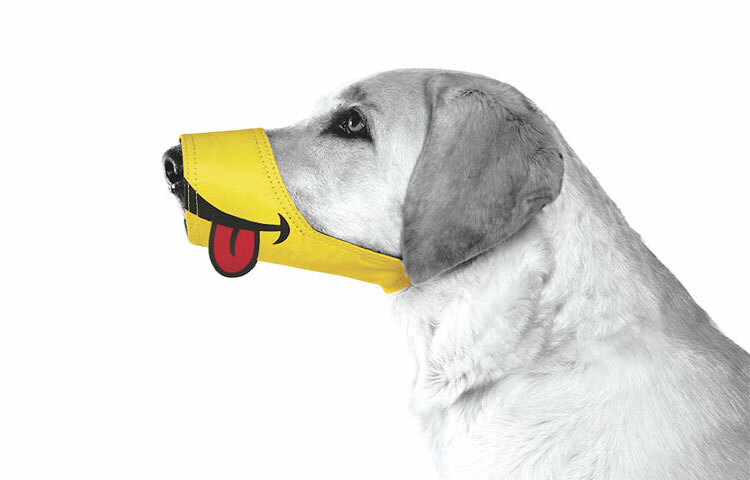 Perfect for keeping your dog looking happy, rather than like a rabid wolf, or like a stupid duck, the smiling dog muzzle makes for a settling image to look at when your dog just needs to be muzzled, for whatever reason that may be, whether it's for a visit to the vet, a visit to the dog groomer, or just a walk in the park as to not chomp on any small children. 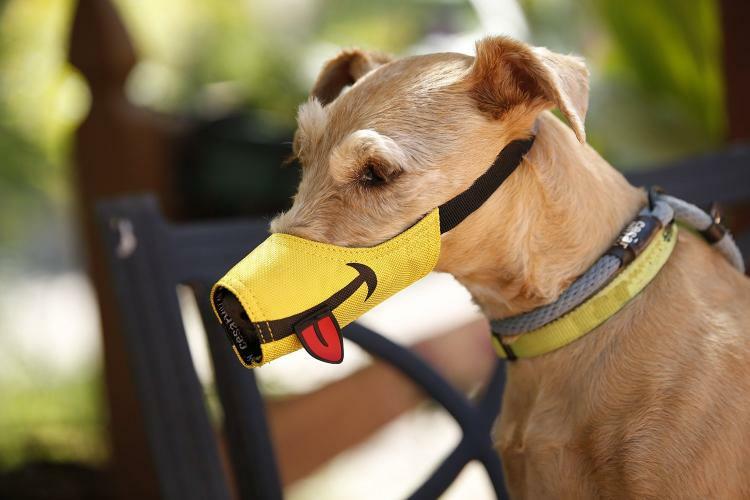 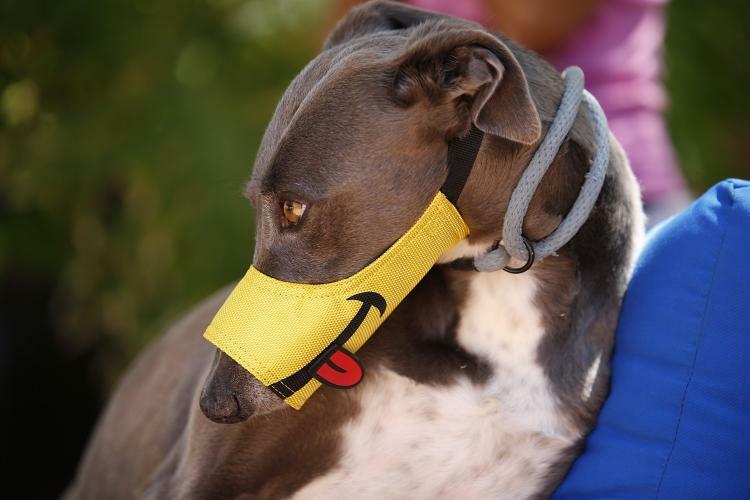 The Cesar Millan smiling dog muzzle is made from durable nylon fabric, has an adjustable strap, comes in three different sizes depending on the size of your dog's mouth, and measures between 7.5 inches and 10.5 long depending on what size you get.